Esther Wrightman: Get mad! Stay mad! Make history! | Mothers Against Wind Turbines Inc.
Esther Wrightman: Get mad! Stay mad! Make history! A while back we covered Esther Wrightman, suggesting that this fine young Canadian gives “courage” a new name. Here’s an extract of her cracking little speech to the “Unwilling Hosts” Rally in Ontario on 19 October 2013. Let us be clear about why we are here today. This is a demonstration of “We, The People” versus “We, The Corporations”! I have, of course, borrowed the phrase from the American Declaration of Independence. 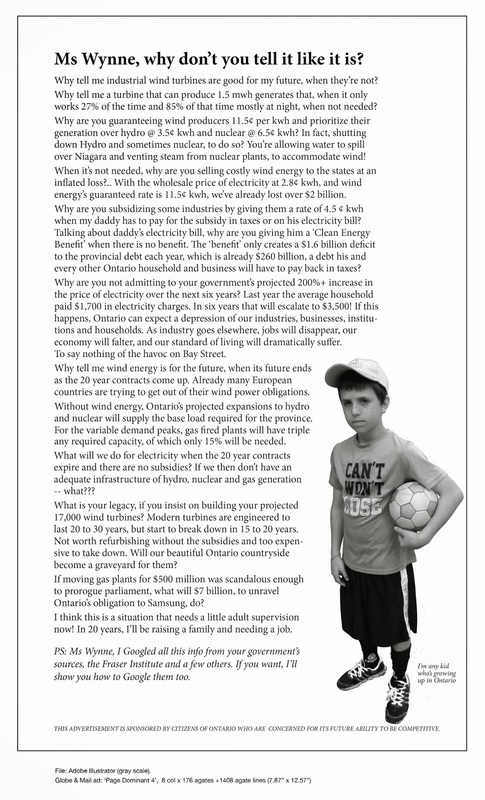 This is an in-your-face demonstration of “We, The People” versus the wind energy companies that are strangling rural Ontario — strangling us with the approval and encouragement of our government! The big fans make energy. So we don’t pollute, so, white fans help you with your bills.